Stephen Reinisch graduated in 2016 and now works in a busy small animal practice in suburban Melbourne. He has some advice for new graduates about the big leap into the veterinary profession. For many of us, the journey to become a veterinarian is one that started years ago as a childhood dream. Back then becoming a vet seemed like a simple task; you just had to do well in high school, go to university, and then you were a vet. Little did we realise, that for some of us, the road to becoming a vet was going to be far from straightforward. It can involve rejection, many years of additional study in different degrees, moving interstate or even internationally, accumulating significant financial debt, and potentially change the whole course of your life in the process. But no matter how long it took, or what we had to do become veterinarians, we’ve all made it to the point where we have achieved that dream, and it’s something that we should be proud of. After the excitement of graduation has worn off, it’s time to start your first job as a fully qualified veterinarian. This can be and often is a daunting and stressful time for many new graduates. Gone are the days of being a student where you were there to observe and assist, all while trying to hide your internal panic when the vet would ask an obscure question you didn’t know the answer to. Now you are the one who provides advice to clients and determines what is done to their animal. The learning curve when starting your first job is steep. For the first few months you’ll find yourself seeing new things regularly, and often feeling like you’re way out of your depth (particularly when trying to manage complicated cases which don’t want to stick to the textbook examples you’ve been taught.) But you’ll soon realise the famous saying ‘common things happen commonly’ is definitely true and you’ll quickly develop your own approach to cases, so that they become almost second nature. Being a vet is not an easy job, and that is something you will realise very quickly. Not only is it technically and mentally demanding, it can also have a big effect on your personal life. Working long hours as well as evenings and weekends is commonplace for many veterinarians. For some this schedule can work well and getting a midweek day-off is a bonus, but for others it can become isolating and put strain on your relationships with those outside of the industry. It’s not uncommon to miss out on social events because you’re working that particular weekend or having to cancel dinner plans on short notice due to a last-minute emergency, or because you’re simply too tired after a draining day at work. Having others around you to support you through veterinary cases is important, but more importantly having someone you can talk to about the issues and challenges we face in our industry is essential when starting out as a new veterinarian. I have been fortunate to start my first job in a supportive clinic. Unfortunately, there are many new graduates who aren’t as lucky. It is possible to flourish in such environments, but others may struggle. It’s in these situations where communicating with your peers is essential. It can be challenging staying in touch with friends from university - we’re all veterinarians after all! Finding a time when everyone is free is like winning the lottery, but these people are invaluable to have around, and you can be sure anything you’re feeling about the job, they’ve felt too. Joining the AVA Mentor program is another great way to create connections within the industry, and form a relationship with an experienced, impartial vet who is there to support you, and answer any questions without judgement or bias. As with any career, your veterinary skills and knowledge will improve with experience, and this takes time to develop. 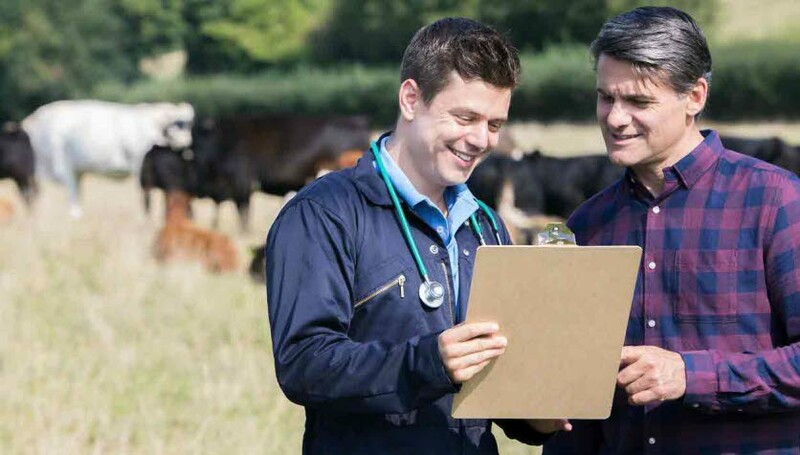 For many young veterinarians, your clinical skill set is often considered the key factor when determining how you’re progressing since graduation, and whether you are at the ‘expected’ level. Given how difficult it is to become a veterinarian, the profession is filled with high-achievers and people who are used to being the best of the best. It’s this competitive drive and the expectations, whether realistic or not, which we put on ourselves that can be our downfall in the early years and a great source of stress and dissatisfaction with the profession. Spending hours after work researching and contemplating all the decisions you’ve made on a case you were unsure of instead of asking for advice from those around you, or racing against the clock to complete a desexing as fast as the vet 20 years your senior, may feel like it’s what you should be doing to push yourself to become a ‘better’ vet – but are you happy in the process? It’s not that we shouldn’t strive to improve but we should set realistic goals and allow yourself to celebrate your achievements, no matter how small. We all became veterinarians because we thought it would be a career that we would enjoy doing, so making sure we’re happy with our job should be the top priority. There is no shame in asking for help when it becomes too much, we’ve all been in the same situation and know how it feels. Everyone is different and we all enjoy different aspects of being a veterinarian. Some of us live for surgery, while others love the challenge of a complex medical case. There are even veterinarians out there who enjoy consulting and interacting with clients above all else. Some people discover their passion quickly and stick with it their entire careers, while others can take years and move through various areas, before finding the one they enjoy the most. The journey to become a veterinarian didn’t end when we received that piece of paper, it was only the first step in a lifelong adventure. This article originally appeared in the October 2018 issue of the Australian Veterinary Journal (AVJ).